Dr Dawn Barker is a Child Psychiatrist who works with families affected by mental illness. She has published non-fiction articles on parenting and child psychology for various websites and magazines. This is her heartbreaking debut novel. This book handled a very heavy and difficult subject well. Although post partum psychosis rather than post natal depression is covered, it really highlights how very difficult the transition to parenting is with even the most enthusiastic of mothers to be. The mental health facility was very accurately drawn; I could just see the hideous well worn mattress and the awful surrounds. The unwillingness to leave, like a prisoner at release time was also well evoked and believable. A heartbreaking, poignant story which illustrates the inherent dangers of post natal depression. Could not put it down. This book leaves you feeling disturbed by the events portrayed. My first novel by this author - who I get to meet at our local library this week! What a fantastic read - I couldn't put it down. The characters were so real. Amazing. A sad story that kept me engaged right to the end. 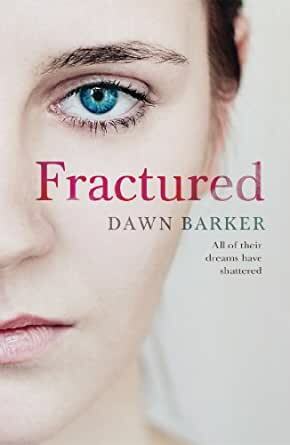 There are many reported examples of post-natal (puerperal) psychosis and the consequences suffered by the affected mother, but none brings them closer to home than Dr Dawn Barker in this, her debut novel, in which she has written a bold account of one couple’s tragic journey into parenthood and the complex realms of the mind. Tony is certain that there is something wrong with Anna, but he can’t quite put his finger on it. So, the house is a mess with washing hardly being done, clothing not being ironed and Anna not cleaning as much as she used to, not to mention cooked meals which are few and far between and Anna not being able to sleep because of the demands of breast-feeding which have her up every two hours. And then there are the few days where she seems almost normal, washing windows, tidying up and cooking a meal. But that’s normal with a new baby … isn’t it? At work one morning he receives an anxious call from his mother letting him know that Anna and Jack aren’t home. Anna knew her mother-in-law was on her way over, Tony reminded her before he left for work to attend a high-powered meeting, so why is she not home! Frantic, and with his mind offering flash-backs of the past six weeks, he rushes out of his meeting. Hours later, after a lot of searching and calling friends to find out whether they’ve seen Anna and Jack and receiving no positive answers, he does the only other thing he can think of and calls the police to lodge a missing person’s report. He finally receives a call from the police, but all is not as it should be. Informing him that they have found Anna, alive, albeit a bit bruised and battered, there’s just one problem … Jack is not with her. Seemingly catatonic, Anna is rushed to hospital appearing to have lost all contact with reality which means that no-one is able to get any useful information out of her. Fearing the worst, Tony doesn’t quite realise the impact this phone call and Anna’s diagnosis is going to have on their lives and, unfortunately, Anna can’t remember any details. What follows is an anguished account of this couple’s struggle to come to terms with a tragedy that no parent should have to experience. Whilst the ravages of this terrible disorder and the tragic consequences which followed didn’t only affect Tony and Anna, but their parents too, I couldn’t help but not be invested in Ursula, Tony’s mother. The total opposite of Anna’s mother Wendy, Ursula invoked in me an extreme dislike for her in the way she attempted to manipulate Tony in decisions he should have been making on his own, and had me thinking to myself that she should have been offering unbiased support instead of creating a divide. All too vivid a reminder of my first birth not going at all the way I had planned along with the determination to try and do everything myself, my coping mechanisms slowly crumbling around me along with the obstinacy of not having the problems addressed, this novel invoked my own painful memories at my experience with full-blown post-natal depression after the birth of my first child, for which I was only diagnosed after the birth of my second child, two years and ten months later – this only after being subtly prompted by both my mother and mother-in-law to seek medical advice. On diagnosis, my GP in South Africa promptly prescribed medication and put me back onto birth control with strict instructions that I shouldn’t have any more children, and while I didn’t suffer psychosis, the all too real rawness of Anna’s emotions and state-of-mind had me vacillating between continuing to read or put it down. Fortunately, Tony and Anna won, and their story had me in its grips until the last page. Complex and psychologically-charged with intense themes of guilt, grief, helplessness and infanticide, Dawn Barker, in drawing on her psychiatry background and structuring the novel with two alternating timelines, has mixed clinically sound fact with fiction and adeptly approached this subject with the sensitivity and respect it deserves, not only offering insight into the sufferer’s world, but that of her extended family too, thereby giving the reader a realistic portrayal of this rare mental illness which affects approximately one to two women in one-thousand. I certainly look forward to Dr Barker’s next compelling addition to the fiction genre and would highly recommend this novel to both men and women embarking on that wonderful thing called parenthood (as well as any prospective grand-parents) in order to gain an understanding of the extreme complexities of the mind in the hope that, though rare, future tragedies like this can be averted. Even though the topic of this book was very confronting, it was written sensitively and honestly, from all of the characters perspectives. I felt sad for every character. This book has made me more fully appreciate how hard motherhood can be for some women and that as a society we need to be more aware that some women may need more help.